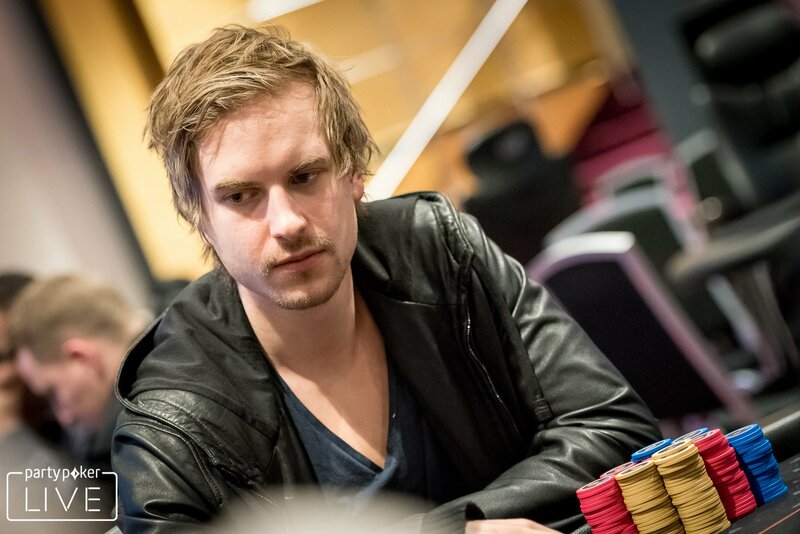 Born September 26, 1990 in Sweden, Viktor Blom is better known by his online poker name, Isildur1. In fact, this high-stakes online poker player kept his identity a secret until he joined the PokerStars pro team in January 2011. Best known for playing aggressively on multiple tables, his favorite games are No-Limit Texas Hold’em and Pot Limit Omaha. 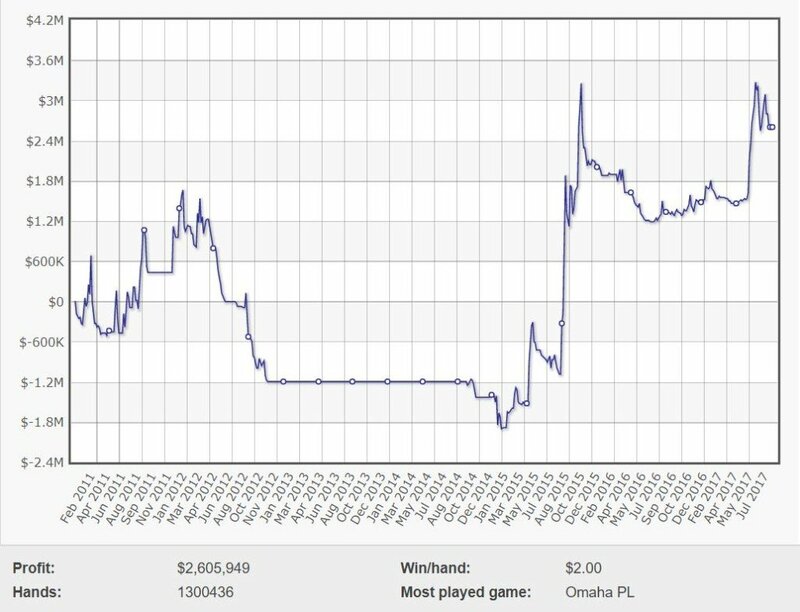 As an incredibly unpredictable player, his bankroll often rises and falls quickly and massively. Blom also claims to learn everything he knows by playing, since he refuses to use software or read poker books, forums, or discussions. The youngest of four children, with two older sisters and an older brother, Sebastian, who taught him how to play poker when he was 14, Blom caught on to no-limit Texas hold’em heads-up quickly. After a few days of playing with his brother, he decided to teach a few friends to play, and they all started playing micro stakes during their school breaks, with buy-ins of $3-$7. When Blom turned 15, he and his brother decided to throw in some money together on an online poker site. First, the entered an MTT game (multi-table tournament), where they managed to win $300 by finishing in 5th place. After a few weeks, they split accounts, with Sebastian setting up his own account on a different site and Blom creating the online alias “blom90.” Blom played for a few months under this screen name, eventually making over $275,000—at the age of 15. Collecting all of his winnings onto one site, he began playing higher buy-in cash games and sit-n-gos, eventually going broke, losing all of the money he’d won. Building back his bankroll, he returned to the same site with $3,000. 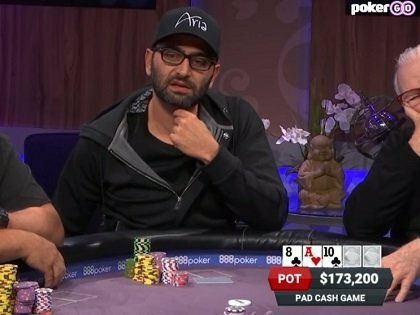 Playing high buy-in sit-n-gos, he grew his bankroll to $50,000. Then he took a brief break. Returning strong from his break, Blom deposited a 10,000 SEK (Swedish crowns) bankroll to play heads-up no limit hold’em. He switched from 1/2 SEK to 50/100 SEK after playing only two weeks. 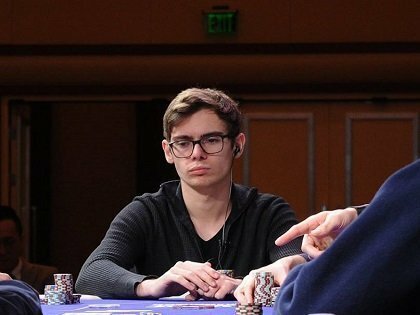 When he turned 17, Blom deposited $2,500 on Partypoker, winning over $200,000 in only days. Then, in just two weeks, he won over $1.7 million during a hot streak on iPoker. However, Blom90 stopped getting action after a little while, so Blom moved on to a new name and a new site: Isildur1 on Full Tilt. After signing with PokerStars in 2011, Blom became more attentive to live tournaments. However, his first noteworthy success occurred when he came in 16th place at the 2010 WSOPE Main Event for £33,582. He won his first live ever at the $100,000 Super High Roller event at Poker Stars Caribbean Adventure in January 2012. The prize was $1,254,400. According to Hendonmob.com, his live winnings as of 2017 are estimated to be $1,540,000. After his early experiences playing as Blom90 on Partypoker and several other online poker sites (mentioned above), Blom moved on to Full Tilt, where he began playing as Isildur1 on September 16, 2009. On Full Tilt, he immediately began playing $500-$1000 stake games against many famous names in Poker, including Phil Ivey and Patrik Antonius, who he played against in one of the biggest pots in online poker history. Not long after his game against Antonius, Blom faced off against Tom Dwan, playing a week-long tournament across six consecutive tables (Isildur1 vs durrrr). After a week of largest run in the history of online poker, Blom had won approximately $4 million and left Dwan speechless. 1) Antonius challenged Blom to a rematch in which he brought Blom’s bankroll down by $3,000,000. This game constituted the biggest gain and loss within a single day in online poker history. However, in the following day’s rematch, Viktor was able to win back $2,000,000 from Antonius. 2) Blom challenged Phil Ivey to a No-Limit Hold’em match where he lost a lot more than $3,000,000. Despite being defeated, Blom was happy to hear Ivey confirm that Isildur1 was the most difficult opponent he had ever taken on. 3) Hastings won $4.2 million from Blom within 5 hours of play, setting a new online poker record. Later, however, it was found that Townsend had compiled and shared data on Blom’s past 30,000 hands with Cole and Hastings. Since sharing such information breaks Full Tilt’s rules, Townsend was punished and had his Red Pro status revoked for a month. Following this significant loss and the following controversy, Isildur1 left the high-stakes field for almost a full year. Blom turned to online poker in 2015 and quickly gained the lead in terms of online poker winnings. He took home over $2.1 million from his combined play on Poker Stars (+$3,497,527) and Full Tilt (-$1,367,244). It’s rumored that Blom also had a lot of success playing on the Microgaming Poker Network as “Hrskar,” so the actual amount of his total winning may be more. 2015 may also have been Blom’s best year, as that is when he won two of his largest three lifetime pots on Poker Stars; the biggest was $365,895 won at a $200/$400 pot-limit Omaha game. However, the following year, 2016, was not a good one for Isildur1. This was the same year that Full Tilt merged with Poker Stars. Losing, $636,951 for the year, Isildur1 went from the biggest winner in 2015 to the biggest loser in 2016. Coming back in 2017, Isildur1 has already won $1.9 million at the Poker Stars SCOOP, where he’s cashed in 17 events. He finished 2nd at the SCOOP 11-L: $5.50+R PLO 6-Max 30K Gtd, and so far he has been the biggest online winner in 2017. As things look now, it seems like he might be able to once again achieve the success he enjoyed in 2015. In December 2010, Isildur1 joined the PokerStars Pro Team, but he left them in August of 2012, quickly signing with Full Tilt just a couple of months later. However, he hasn’t signed up with any more pro teams since Full Tilt dissolved their program in October 2014. Since then, Blom has occasionally appeared on Unibet Poker events. In addition to playing 10-hour sessions at low stakes on Twitch, Blom has carried the patch on the Unibet Open, and in 2017, he appeared at Unibet’s Battle Royale in London, where he won a modest 3000£. How much is Isildur1 worth ? Although Blom has won many live and online tournaments over the course of his career, as well as profiting from a Full Tilt sponsorship deal that likely lands him six figures a year, his exact net worth remains unknown. 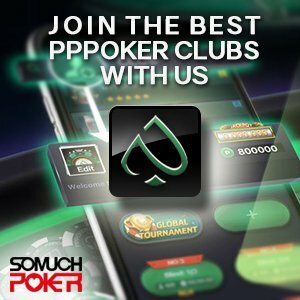 Nevertheless, Poker-King.com estimates Blom’s worth at approximately $5 million, and Isildur1 is 22nd on the HighstakesDB list of biggest poker winners. According to Blom, his username Isildur1 is based off a fictional character in J.R.R. Tolkien’s books, Lord of the Rings, The Silmarillion, and Unfinished Tales. Blom later admitted that living in London as a 21-year-old with that much money may have led to him partying a bit too much to play at the top of his game. This may be why he now chooses to live in a small town in Sweden that is far away from such distractions. While Blom may have slowed down from the partying lifestyle, he continues to indulge in Sweden’s summer parties known as the “Midsummer” tradition. Besides these activities, Blom, who played soccer in school, remains an avid fan of the game, and pictures on his Instagram account often feature him playing pool with friends. Blom is not very active on social media. His last post on his Facebook fan page was in 2012.